Nor-Tech, an official GSA Small Business, is now offering high performance servers and more to government agencies through a GSA IT Schedule 70 contract. 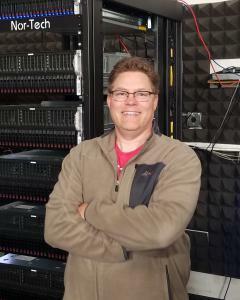 MINNEAPOLIS, MINN. , U.S., March 11, 2019 /EINPresswire.com/ -- Nor-Tech1 (Northern Computer Technologies, Inc.), an official GSA designated Small Business, is now offering high performance servers, processors, peripherals and more to U.S. government agencies through GSA IT Schedule 70 contract GS-35F-133CA. The company has been providing government agencies, enterprises and educational facilities with these products for almost 20 years. They are a leader in powerful, cost-effective HPC technology including the servers and processors specified in the contract. Among the many advantages that Nor-Tech has over competitors are an outstanding engineering team, long-term relationships with the world’s leading hardware and software suppliers, and a strong history of exceptional customer support. The General Services Administration (GSA) is the centralized authority for the GSA Contract and the acquisition and management of federal government resources. It is most widely known for the Multiple Award Schedules (MAS) program. The purpose of the MAS program and the GSA Contract is to leverage the buying power of the federal government in order to negotiate more simplified contracts with commercial entities. The GSA Contract contains pre-negotiated prices, delivery terms, warranties, and a host of other terms and conditions. A GSA Contract, also known as a Federal Supply Schedule, is an indefinite delivery, indefinite quantity (IDIQ), long-term contract under the MAS Program. Government agencies in all 50 states, Washington, DC, Puerto Rico and U.S. Territories are eligible to purchase from this contract. Online access to contract ordering information, terms and conditions, up-to-date pricing, etc. are all available through GSA Advantage, a menu-driven database system: http://www.gsaadvantage.gov. For more information on Nor-Tech’s contract visit: https://www.nor-tech.com/company-info/gsa-contract/. Nor-Tech is on CRN’s list of the top 40 Data Center Infrastructure Providers along with IBM, Oracle, Dell, and Supermicro and is also a member of MIT Technology Review’s Global Advisory Panel. The company is a high performance computer builder for 2015 and 2017 Nobel Physics Award-winning projects. Nor-Tech engineers average 20+ years of experience. This strong industry reputation and deep partner relationships also enable the company to be a leading supplier of cost-effective Lenovo desktops, laptops, tablets and Chromebooks to schools and enterprises. All of Nor-Tech’s high performance technology is developed by Nor-Tech in Minnesota and supported by Nor-Tech around the world. The company is headquartered in Burnsville, Minn. just outside of Minneapolis. Nor-Tech holds the following contracts: GSA, University of Wisconsin System, NASA SEWP V. To contact Nor-Tech call 952-808-1000/toll free: 877-808-1010 or visit https://www.nor-tech.com. Full release at: https://www.nor-tech.com/category/news/. Media Contact: Jeanna Van Rensselar, Smart PR Communications; jeanna@smartprcommunications.com.